Home > News > 15 transplant recipients connect through Fit for Life! Melbourne’s Fit for Life! walk through Melbourne coincided with the 2018 Transplantation Society of Australia and New Zealand (TSANZ) Conference and was led by Victoria’s Fit for Life! Ambassadors, kidney recipient Linda Petrovski, and liver recipient Jennifer Dicker, along with Transplant Australia’s Matty Hempstalk. Fit for Life! Ambassadors, Jennifer Dicker and Linda Petrovski. 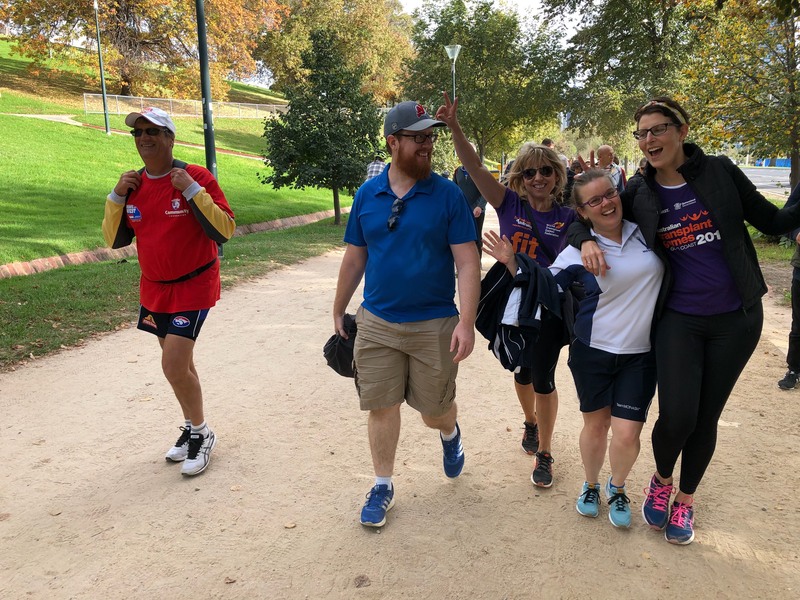 Fifteen transplant recipients and their partners, supporters, friends and family met on Saturday for a walk through the state capital of Victoria and the second-most populous city in Australia. Brooke Huuskes, the chairperson of the Transplant Australia Victorian Committee, helped lead the charge. Fit for Life!, which won two corporate social sustainability awards in 2017, is an initiative of the World Transplant Games Federation and proudly supported by Astellas. It aims to get more transplant recipients more active more often; has already broken a Guinness World Record, and connected transplant recipients across the world. For more information on Fit for Life! Ambassadors, or the program itself, visit transplant.org.au or wtgf.org. The next Fit for Life! walk will take place in Sydney, NSW on Sunday the 27th May and Sunday 3rd June in locations yet to be announced. Keep an eye out on the Transplant Australia and Australian Transplant Games Facebook pages for further announcements. Photos by the amazing Nick Farley.